2 T. dried currants or chopped raisins. 1. Melt together chocolates and butter, stirring until perfectly smooth. Remove from heat. Stir in Bourbon, then sugar until mixture is soft, smooth and glossy. Stir in currants or raisins. 2. Scoop about 2 t. of mixture and roll into a ball. Roll in chopped nuts to coat. Repeat with remaining ingredients. 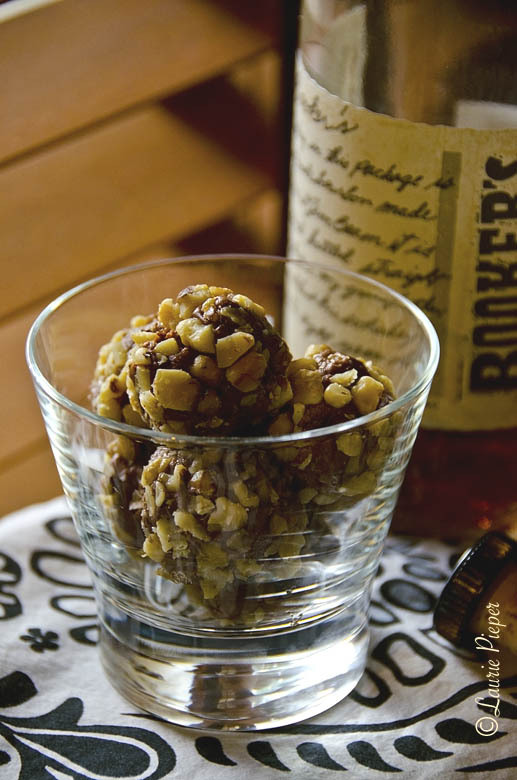 These confections are a delight to lovers of chocolate & Bourbon and are super easy to make! Enjoy! Pretty little candies, perfect for afternoon tea! 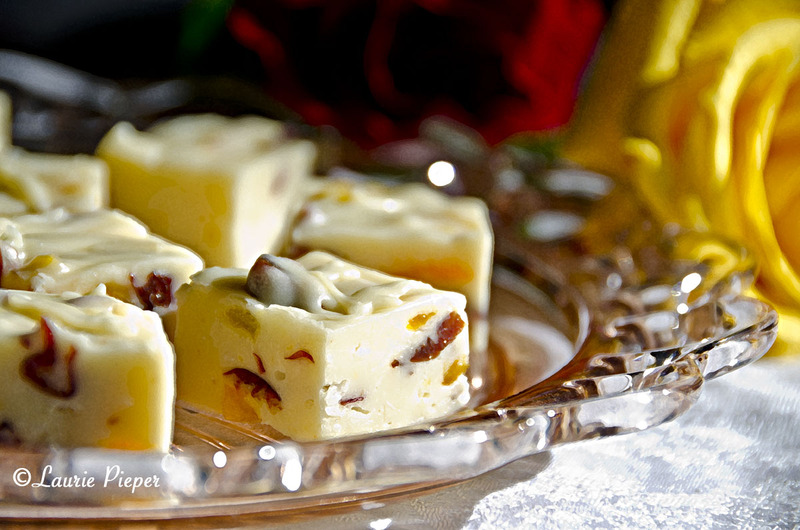 Orange-flavored white chocolate fudge studded with dried fruits and coconut. Spray an 8” square baking pan with vegetable oil. Line pan with heavy duty aluminum foil, allowing foil to drape over sides of pan. Spray foil with vegetable oil. Set aside. In a 2 qt. non-stick saucepan, combine evaporated milk, sugar and butter. Bring to a boil over medium heat, stirring frequently. Boil for 4 to 5 minutes or until the mixture reaches the soft ball stage. * Remove from heat. Immediately stir in marshmallows, white chocolate, orange extract, apricots and coconut. Beat vigorously with a mixing spoon about 3 to 5 minutes until glossy and the only lumps are from the fruit,. Spread mixture evenly into pan. Cool in the refrigerator for one hour. Remove fudge from pan by lifting out the aluminum foil. Pull foil away from fudge and then inspect to make sure that no bits of aluminum foil are stuck in the candy. Using a sharp, heavy knife, cut fudge into pieces. Soft ball stage in candy making is 235 to 240 degrees F. At this stage, a spoonful of the candy mixture dropped into cold water will form a soft ball. Note: To store fudge, line an airtight container with waxed paper. Arrange the fudge pieces in the container. If you need to stack the pieces of fudge, place wax paper between layers. Top with waxed paper and then the lid to the container. Store in the refrigerator. Allow to come to room temperature in the air tight container before serving.